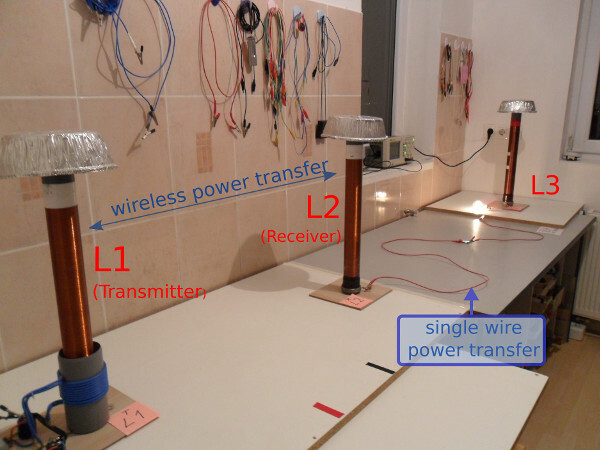 This configuration is also very effective and enables 100W single-wire and wireless power transmission. Along with the coils L1 and L2, another coil L3 was added. All three coils, L1, L2 and L3, are in the resonance. 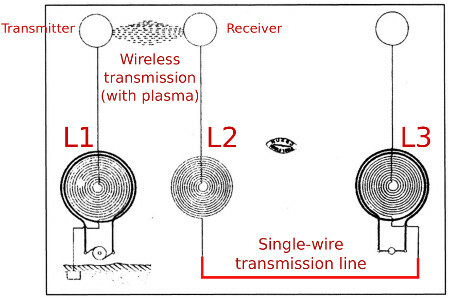 Double Slayer exciter, together with the secondary coil L1, is the transmitter. The coils L2 and L3 are used as the receiver. In this case it is not necessary to ground the receiving device. When grounding the coils L2 and L3 is replaced with wire, it’s easy to see the similarities. 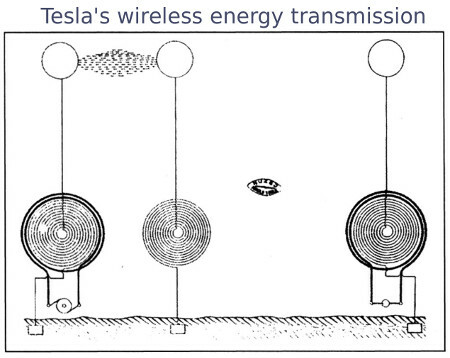 Obviously, Tesla used the earth as a single-wire transmission of energy. did you measure the distance between the coils?? is there any way i can ask my doubts and discuss something regarding wireless transmission.. Regarding discussion of wireless transmission of energy, I think it's best to discuss on one of the forums – in some of the forums I am also active. For other questions regarding my work I will gladly respond. How far can you transmit power between L2 and L3. Can I place L1 and L2 near each other, and then ground L2, then go 100 yards and use my grounded L3 and have it light? Do you have any feeling of the losses over distance for one wire(ground) transmission? Sorry for the Late Reply. That's what I tried. Unfortunately, it does not work because it's a big loss. L2 and L3 must be connected by a thin wire. 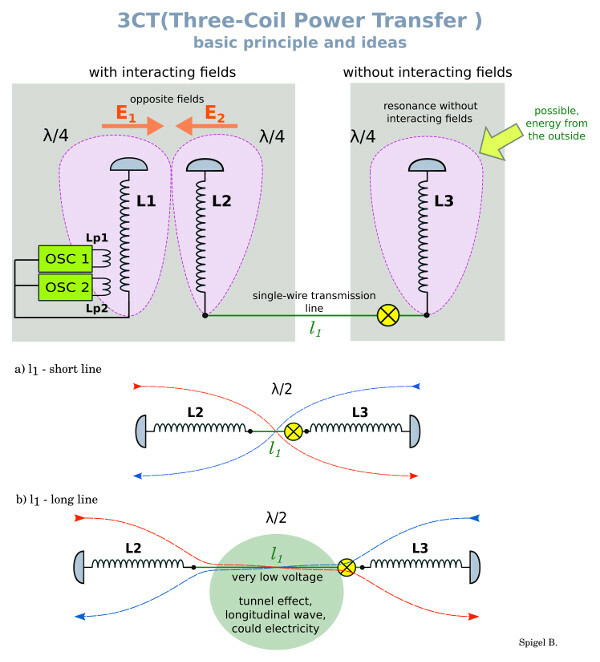 If L3 additionally connects to the ground, a better result is obtained. I tried it with a 0.08 mm wire and a length of 30m. With this wire, 50W-75W power is transferred without any problems. The wire is completely cold. The wire can be touched during power transfer. Does the output load affect the input when it changes? Yes, but not always linear.